Smartphones have become the be-all and end-all of American connectivity. The fascination started out slowly with the ability to text and play games. 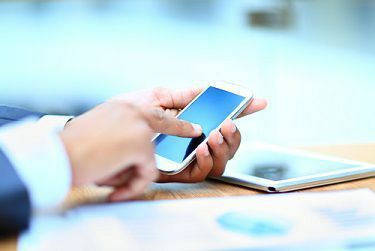 However, with the evolution of mobile WiFi, voice search, and informative apps, the smartphone has quickly become the number one device that people (and potential clients) depend on to find information in times of need. In fact, according to Google insiders, “more [Google] searches take place on mobile devices than on computers in 10 countries—including the U.S. and Japan.” So, isn’t it time that your website evolved with the times to cater to a more mobile-friendly clientele? Otherwise, you could miss out on a lot of potential business. It may initially seem silly to specifically pander to mobile users but think about it. Where’s your cellphone? If you’re like 90% of Americans, it’s in your pocket, purse, or at least within arm’s reach, no matter where you are. So, put yourself in your clients’ shoes. If you’re in an accident, in excruciating pain, or need to find help in a hurry, are you going to wait until you get home to search on your computer, or are you going to whip out your handy-dandy phone? So now you (a potential client) are on your phone and searching for help. However, you wind up skipping over several sites because they’re either too hard or too frustrating to navigate. You finally settle on a site that is more user-friendly and contact it for help. Are you beginning to see why a mobile-friendly site can work to your advantage? Increases traffic due to high numbers of mobile search users. Shows your willingness and passion to help those in need, no matter where or when they require it. Improves your ability to connect with people who only have mobile Internet access. Below a certain socioeconomic threshold, it’s increasingly likely that smartphones are a family’s only Internet source. Increases your chance of connecting with a client sooner rather than later. Injuries, claims, and defenses can worsen if a client waits too long to contact you. May earn a higher search placement because Google is actively looking for mobile-friendly websites. Don’t allow your site to fall behind the times. Increase your traffic and your business by improving your customers’, patients’, or clients’ mobile experience.